The red has to go! Well, while I’m waiting for my delivery of inks, screens and squeegee I thought I’d make a start on decorating our living room. I have to admit I’ve been putting it off as there’s lots to do but now is a perfect time and I need another project to get stuck into. 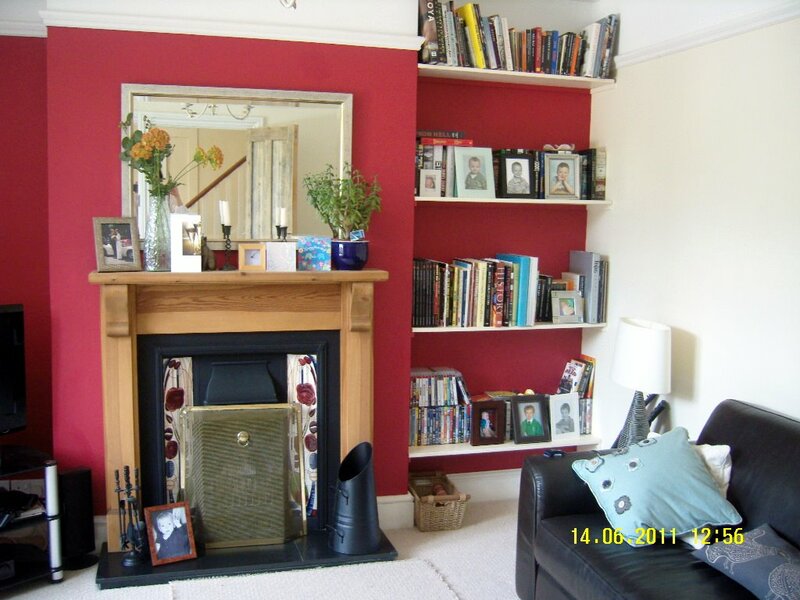 Here is a photo of the room – I hate the red wall and I don’t really like the tiles round the fireplace plus the shelves aren’t brilliant, see what I mean, lots to do! I’m not going to bother with a floor plan this time as the furniture can only fit one way. 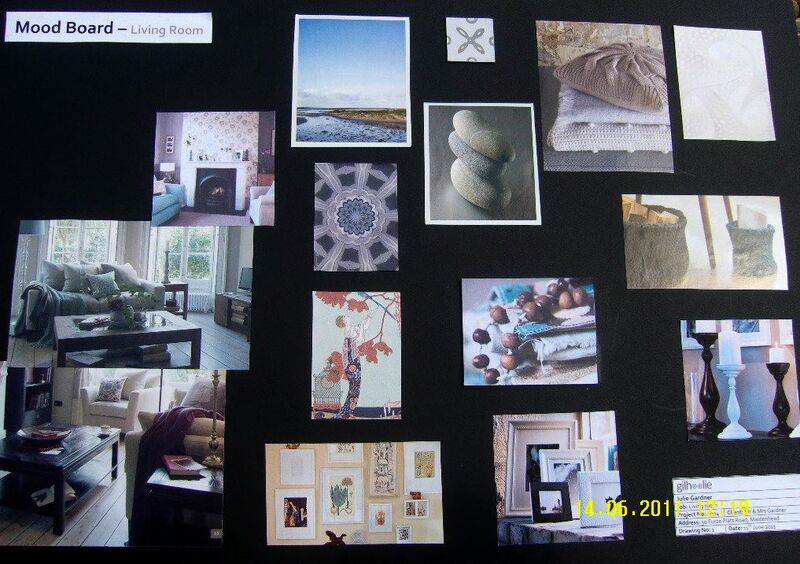 I have put together a mood board though. If you’re thinking about changing the scheme of a room this is a really good way to start as it helps you visualise the kind of feel you want to achieve in the end. In this case I’m going for blues, greys and whites to make a calming room with natural colours and textures. I’ve been collecting cards and pictures of all different sizes to put in frames on one wall and have already made a cushion so I’ve been thinking about the scheme for some time. I even have the wallpaper already (to go on one wall); another reason to get started in case I don’t like it in a few months time!